In China, the astounding scale and speed of urbanization is galvanizing a generation of rural activists. On a bright December morning, a few years ago, I made my way across the sprawling plaza in front of Guangzhou Railway Station. Completed in the final years of the Cultural Revolution and too plain even to be demonstrably ugly, the building is a faultless example of Maoist architecture. The slogan atop the station once read: Long live the all-conquering thought of Mao Zedong, long live the glorious Chinese Communist Party. In 1986, as reforms seized the country, city leaders deemed the sentiment unsuited to a railway hub now in the service of a different revolution, a revolution of industry and commerce, and they hoisted a fresh rallying cry: Unifying the motherland, revitalizing the Chinese nation. For three decades Guangzhou, capital of Guangdong Province and the largest city in the Pearl River Delta, has been a booming engine of that revitalization, and the main rail station a threshold of possibility for tens of millions of rural migrants, a fresh start at the end of the line. From here the itinerant workers disperse to fill the factories of the Pearl River Delta, to staff its restaurants and to construct its residential high-rises and commercial plazas, its roads and subways. And often as not the workers crowd into one of the hundreds of urban villages spread across the populous region — into one of the cheng zhong cun, literally “village in the midst of the city,” a semi-urban tenement built by local Chinese, where the rhythms of the metropolis merge with the cadences of the countryside and where the migrants form new communities on the margins of an imagined future. There are other stations in the city — bolder modern statements gleaming with confidence — but the Guangzhou Railway Station is where the rougher dreams begin, and this gives the place an unwashed beauty. The austere facade, with its no-nonsense clock face, sells no polished dream of personal fulfillment; it opens the back door to the city and lets you through with the rest of the crushing masses. Already, at 7:30 a.m., the plaza was buzzing with travelers — migrants from inland provinces mixed in with traders from Africa. Many lugged massive bags of goods purchased at local wholesale markets. From here, cheap clothing, home wares, and consumer electronics start the journey to distant markets in west Africa, to Nigeria, Ghana, the Ivory Coast. The goods are often manufactured in factories in the urban villages — in sweatshops, actually, like the one in Mawu, where I once saw hundreds of girls bent over sewing machines, under sallow fluorescent lamps, in scores of workrooms arrayed along the village alleys. That day I was making my first visit to Hebu, one of the urban villages on Guangzhou’s northern edge, a bus journey of an hour. I was going there to see Huang Minpeng, a local man I’d met a few months earlier who in the past decade had become immersed in the turmoil of land-use politics and the toll of rapid urbanization and emerged as an advocate for villagers’ rights; Huang was going to show me the new university campus that, in the official way of thinking, was going to bring the boom to Hebu Village. Today countless urban villages are caught up in the tidal wave of development that has engulfed China. As the bus rattled north, feeling at times like it would jostle itself apart, I realized I had no idea where the edge of Guangzhou was these days. We passed the shiny new developments, the clusters of residential towers, a seemingly endlessly blur of new construction. We passed Baiyun New City, then Cloud Mountain Metropolis. Even way out here, several miles north of the city center, a modest two-bedroom apartment cost over 2 million yuan, nearly $350,000. But the urban villages seemed to be everywhere too, hemmed in by the newer developments and offering affordable alternatives to the migrants who gave this outlying section of the city its character. There was Wanggang Village, or Prospect Mound, which by now, I supposed, had lost its prospect in the crush of high-rises. There was Yibian Village, Huangbian Village, Hebianyuan Village. Before long, the bus, which had left the station empty, was crammed with passengers, many lugging the red, white, and blue plastic bags that have become ubiquitous symbols of Chinese migrant life. One boy, who looked about thirteen, his bangs drifting over his sun-swept face, carried a bulging bag of clothing twice his size. On the road to Hebu, the idea of urbanization was inescapable. Displayed on the rear window of every public bus were depictions of contemporary cityscapes overlaid with the assurance: Building a national civilized city. Where, I wondered, would the city ease away and the countryside begin? Hebu Village, which was part of the larger jurisdiction of Jianggao Township, was more than twelve miles north of central Guangzhou, far from the restless industry of places like Mawu and Sanyuanli, and yet even out here, the pull of urban development has been inexorable. Many villagers had already lost their land-use rights; they’d been forced to relinquish the farms that were their livelihoods to make way for the future. Rural life had become impossible long before urban life was anything more than an idea. Rural life had become impossible long before urban life was anything more than a promise. After we passed Xiamao Village, about halfway to Jianggao Township, our surroundings became semi-rural. Xiamao was a cluster of close-set tenements surrounded by vegetable fields. In a few years, I thought, it’d be a full-fledged urban village, enclosed by the expanding city. We rumbled past more fields interspersed with housing plots. Newer developments were appearing less frequently. But further north, just as the city seemed finally to let go, we reached the narrow channel of the Liuxi River, and a sign at the foot of the bridge crossing welcomed us with another promise: Jianggao, working hard to be a civilized satellite city. When the bus finally pulled into the Jianggao Station, Huang Minpeng was waiting nearby on his red motorbike. Bulky and imposing, with a clean-shaven head, Huang looks more like a nightclub bouncer than a rights defender. He is semi-literate; for many years a farmer, he never finished school. But as the frenzied logic of land development took hold in Hebu Village, Huang has gotten himself a rich informal education in property law, land use policy, and community organization. After we greeted each other, Huang kicked the motor to life, and we sped off through the dusty landscape. In the fields to our right, a group of farmers in broad-brimmed hats bent over a dark green plot of strawberry plants; towering above their heads was an elevated high-speed rail line. A few minutes later, we skirted the edge of Yebian Village before darting across a highway underpass. Huang Minpeng brought the motorbike to a stop. “This is it,” he said. Spread out before us was a massive wasteland, an immense plain of broken earth stretching to the horizon. The soil had been heaped up into piles, gouged out to create waterlogged trenches, now polluted with garbage and chunks of brick and concrete. A few solitary figures wandered among the mounds of barren soil, probably scrounging for scrap. Off to our right, a yellow bulldozer sat idle. “In the distance there, that’s Hebu Village,” said Huang. He pointed straight ahead to the horizon, where a line of squat homes rose behind a group of buildings that I assumed formed the new campus of Guangdong Polytechnic Normal University. “And that’s the university?” I asked. Back then Hebu was a farming village, and the city seemed far away. But already the initials ‘GDP’ were on everyone’s lips — like a shibboleth, or an incantation. Ten years after the township leader’s speech, the storm hit full force: When in August 2009 Huang Minpeng and his fellow Hebu villagers learned from newspaper reports that an agreement had been reached for the sale of the usage rights to their farmland to the polytechnic university, it was like the earth had shifted under their feet. While the agreement purportedly settled the issue of compensation for the rights to the farmland, the villagers themselves had played no part in the negotiations. “Until they made it public, none of us had any idea the land was even being sold,” Huang told me. Soon after the agreement was signed, the chengguan established a temporary headquarters in Hebu: a clear signal that land seizure was imminent and authorities were maneuvering to preempt local resistance. 6 Huang Minpeng led daily protest marches. For several months, Hebu was in a state of constant unrest. The villagers pushed for township leaders to make the land-use rights agreement public. In response, the chengguan waged a guerrilla war of intimidation. They cut electrical lines to the homes of families that spoke out. They destroyed sewage lines. They broke windows. Try as they might to organize resistance, the villagers had their hands full just repairing the damage. Finally, in February 2010, the top district leader of Jianggao Township agreed to meet with a small group of villagers, including Huang Minpeng. The purpose of the meeting — ostensibly — was to talk things through. The leader assured them the township had their interests at heart. There was no deception; everything would be dealt with openly. But after the meeting, matters only became worse. The intimidation continued. “They did everything in their power to disturb the peace,” Huang said. In retrospect, he felt quite sure the purpose of the meeting had been to size up the most vocal protestors. For weeks the stalemate continued, until finally, in late April, the authorities made a decisive play. Huang Minpeng was having breakfast that morning near a local market when five plainclothes police officers surrounded him. They told him to leave the keys to his motorbike with a friend and carted him off to the local police station. He was interrogated for hours before being charged with disrupting public order. His sentence was 20 days of “administrative detention,” an opaque and arbitrary process that allows police to mete out punishment without the formality of a criminal trial. Huang was having breakfast that morning near a local market when five plainclothes police surrounded him. As it happened, a key government meeting on the seizure of Hebu Village land had been held three days before Huang’s arrest. At the meeting — attended by district Party leaders, local officials, and university representatives, along with urban planners, the police, and the chengguan — it was agreed the stalemate needed to be broken with “a detailed plan and a fierce hand.” 7 The detention of one of the land seizure’s most vociferous opponents was almost certainly part of the “detailed plan.” A few weeks later, just before Huang Minpeng’s release, the “fierce hand” descended. Early one morning, hundreds of police and chengguan poured into Hebu Village, barricading the entrances and ringing the perimeter of the village farmland. Inside the perimeter, chengguan teams leveled the fields with bulldozers, destroying the crops where they stood. In a public roster of “sudden-breaking incidents” for the second quarter of 2010, Baiyun District eventually noted a case of unrest in Hebu Village on May 12, citing “elements of instability” over the requisition of land-use rights. The district praised the township for its timely handling of the incident, even using it as a case study. 8 Huang Minpeng was released from jail on May 14, 2010, two days after the seizure of his land. The fields that for centuries had sustained the villagers of Hebu were now broken waves of earth, a wasteland awaiting development. It signaled a future in which Huang knew he had no part. But he would not turn his back. He would see this through, no matter the cost. Now, as Huang toured me around, I saw that the campus was dwarfed by the expanse of idle land. Why, I wondered, had they taken so much land at once? “How much did they pay for this land?” I asked. I wondered if the university would create other sources of income. Hebu Village was too far from central Guangzhou to attract migrant renters, but perhaps university students would eat in local restaurants or buy essentials in local shops. Huang took me on a motorbike tour through Hebu. We whirred through the alleys, where the newer houses cantilevered over the streets and touched at the second-floor level, turning the streets into tunnels. We passed the offices of the village committee, where Huang and other villagers had gathered a while ago and, beneath the garish pink portico, unfurled a red banner that read: They’ve sold and devoured our fields. No land means no yield! We came to a small plaza where construction workers were outfitting a six-story palace faced with light-brown tiles, with balconies jutting out on every level, accented with columns. “Whose place is that?” I shouted over Huang Minpeng’s shoulder. “It belongs to a village cadre,” he said above the whirr of the engine. Turning left, we passed an old temple that had fallen into hopeless disrepair. Only its ancient facade and stone entry remained, disfigured with Cultural Revolution slogans, fading away, almost ghost-like. But the characters across the lintel were still legible: Serve the people. Huang Minpeng’s house was a rustic stone structure overlooking a fishpond so strangled with withered and flowerless hyacinth that scarcely a drop of water was visible. A redbrick outhouse perched on the pond’s edge. Inside the house, the main room had high walls of flat-stacked stone, whitewashed years earlier. Windows on the pond-side wall drew in the crisp winter sunlight. The wall was lined with shelves supporting stacks of newspapers and petitioning documents, some snapped into plastic boxes to shut out the humidity. The sitting area — a slumping wicker sofa and coffee table cluttered with odds and ends — was partitioned from the sleeping area at the room’s far end by a wooden bunk bed draped with a gray cotton quilt. Huang’s only luxuries, it seemed, were his old cathode-ray-tube television and a DVD player. We sat and sifted through the piles of letters and documents from a recent lawsuit that Huang Minpeng had filed against the police. “How do you write all of these letters and petitions?” I asked. “Really?” I thought suddenly of how I had sent him a text message before arriving at the Jianggao Bus Station, and how he had called me back instead of texting. Huang was put off by his textbooks, which stressed his obligations to the Chinese Communist Party but never acknowledged his rights and freedoms. I asked Huang how he managed to press ahead with his rights defense work in the face of constant setbacks and defeats, and he talked about his personal character and circumstances. He had never married or had children, so he was unburdened, he said, by the demands of family life. He had no mouths to feed but his own. He had always had an independent streak. He recalled being put off by his school textbooks, which stressed his obligations to the Chinese Communist Party and to the nation but never acknowledged his rights and freedoms. This essay is adapted from Dragons in Diamond Village: Tales of Resistance from Urbanizing China, which is being published this month by Melville House. It appears here with the permission of the press. The scale of urbanization in China beggars the imagination. As recently as 2002, just over one-third of Chinese lived in cities. By 2011, China’s urban population had passed the 50 percent mark, meaning that in one decade roughly 160 million people — more than the entire population of Russia — had moved into cities. China’s rate of urbanization is expected to surpass 70 per cent by 2050. By then, another quarter of a billion Chinese will be living in cities. 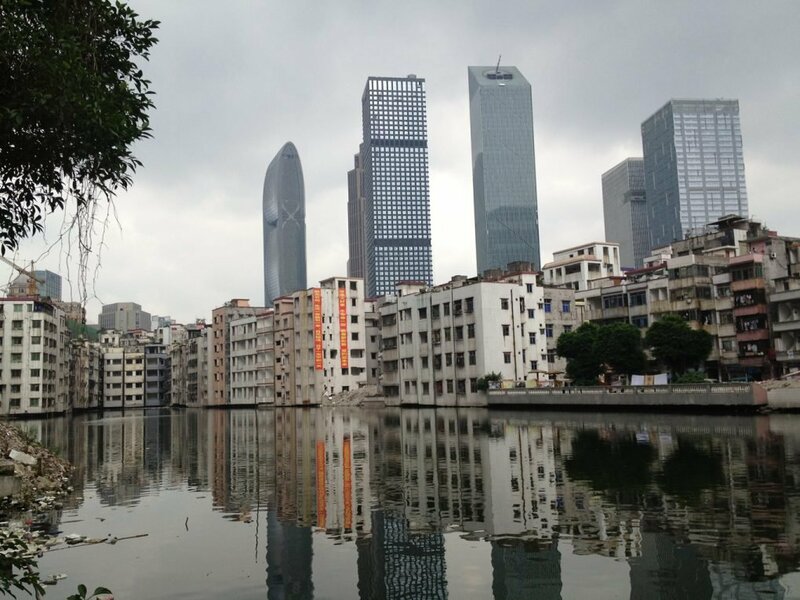 See Karen C. Seto, “Urban Growth in China: Challenges and Prospects,” Center for Integrated Facility Engineering Seminar, Stanford University, January 31, 20. In 2014, there were 304 urban villages inside Guangzhou alone; these villages were home to just under one million local villagers and roughly five million migrant workers, accounting for almost half of the city’s total population. See Luo Aihau, “Guangzhou Earmarks 10 Billion to Improve Urban Villages,” People’s Daily, May 8, 2014. See also “Scale and Distribution Data for Guangzhou City Population, 2013,” Guangzhou Office of Statistics, March 19, 2014. See Li Ruihe, “My District’s Determined War for Regeneration of ‘Urban Villages’,” Baohe District Government, May 26, 2008. Much of what passes for urbanization in China has not been urbanization at all — not in the sense generally understood, as an increase in the number of people permanently concentrated in cities. Rural migrants remain “rural” even after they begin living in the city, because that’s how their status is defined under China’s two-tier household registration — or huji — system. Dating back to the beginnings of the command economy, in 1958, but with antecedents in imperial times, this caste-like system classes an individual’s residency status, or hukou, as either urban or rural. Before the days of economic reform, any rural laborer wishing to enter a city, even for a temporary visit, required special permission from the authorities. All of one’s social benefits and prospects — education, work, medical care, food rations, even marriage — were vested in one’s place of registry. The urban-rural divide was social, cultural, and economic, but above all political. And that divide remains today. The first Urban Management and Law Enforcement Bureau formed in Beijing in 1997, in response to a new law that empowered cities to set up their own mechanisms for enforcing noncriminal regulations. In less than a decade, the chengguan were notorious for their brutal tactics and generally despised by the public. A few months before the chengguan appeared in Hebu Village, a Guangzhou newspaper reported the existence of a training manual sanctioning the use of violence. The manual stressed that attack victims should emerge with “no blood on their faces and no wounds on their bodies.” See “Web Users Expose Urban Management ‘Hit Without Drawing Blood’ Manual,” Southern Metropolis Daily, April 22, 2009, A32. See “Jianggao Township Carries Out Land Requisition for Guangdong Polytechnic Normal University New Campus Development Project in Accord with the Law,” Baiyun District Government, May 13, 2010. See “County People’s Government, District Emergency Management Committee Member Units’ Information Report on Sudden-Breaking Incidents: April 1, 2010 to June 30, 2010,” Baiyun District Government, Guangzhou, July 2010, items 73, 104. An unpopular president, a myth-making architect, and a multibillionaire tycoon build a giant airport in a nature preserve. David Bandurski is a journalist based in Hong Kong and a recipient of the Human Rights Press Award. 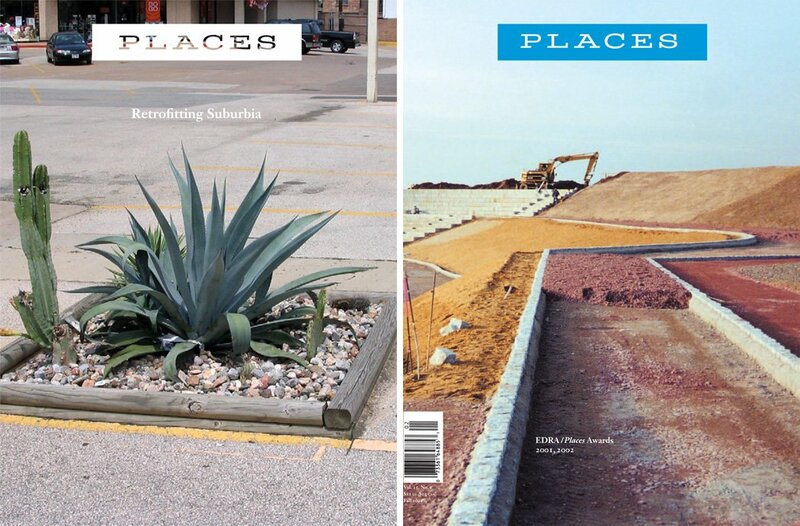 Read more on Places from books published by Melville House.